Myself, Linda, and Deborah Cruz-Beck of The Truth About Motherhood will be giving you our candid take on some of the top Family Travel Destinations in the United States. When it comes to traveling as a family unit, there are definite challenges that can present themselves especially when traveling with young children. Because all destinations and hotels are NOT created equal, we have compiled some fabulous destinations and accommodations that will make your next family getaway a success. 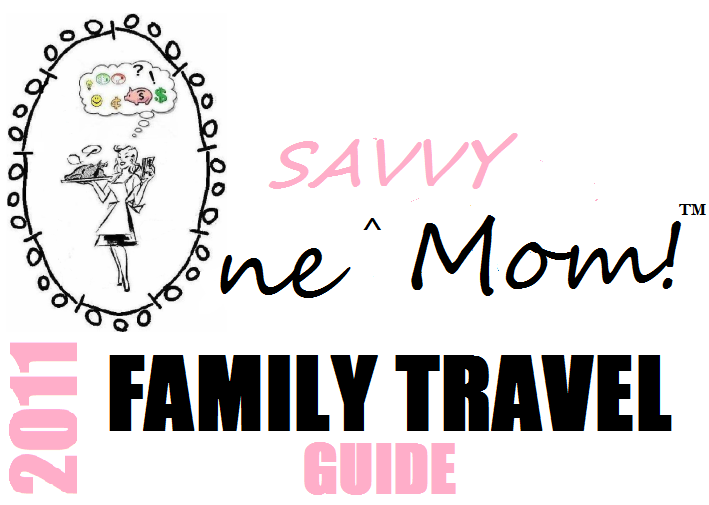 The One Savvy Mom 2011 Travel Guide will showcase reviews for some excellent Family Friendly Destinations (Hotels, Cruises & Attractions) that you won't want to miss when booking your next family getaway. 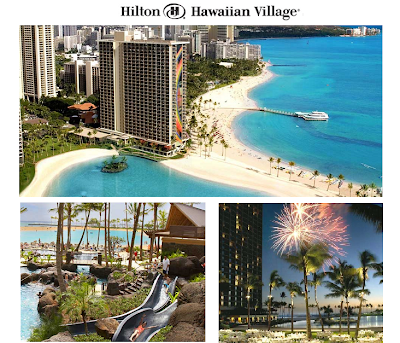 Our first stop will be the Hilton Hawaiian Village® Beach Resort & Spa , in April 2011. Welcome to the island paradise of Hilton Hawaiian Village® Beach Resort & Spa. Located on Waikiki's widest stretch of beach, this impressive property is nestled on 22 oceanfront acres, offering the best Waikiki resort experience. Hilton Hawaiian Village will be celebrating its 50th anniversary in 2011. Discover the unique environment and culture of Hilton Hawaiian Village Beach Resort & Spa - an exquisite Waikiki hotel. Imagine lush tropical gardens, waterfalls, exotic wildlife and priceless artwork. This one-of-a-kind Honolulu Hawaii hotel resort is the only true resort property in Waikiki. Relax in the luxurious accommodations. Dine in over 20 restaurants and lounges. Shop for the perfect souvenir. Enjoy a full range of activities for the entire family. Embark on an adventure of a lifetime - just steps from your door. Lei making, hula lessons, ukulele lessons, and other cultural activities. 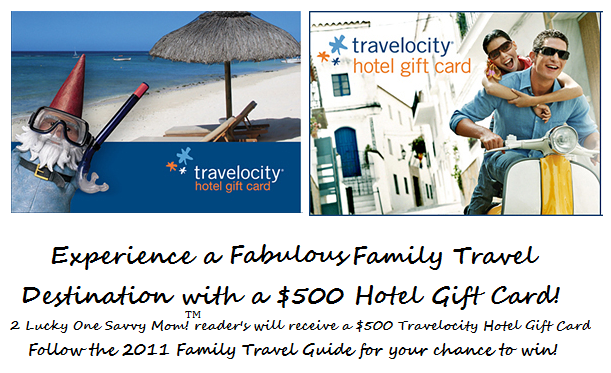 WIN IT: Ready to experience one of the Fabulous Destinations featured in the 2011 Family Travel Guide? 2 Reader's will be selected through Random.org and each will receive a $500 Hotel Gift Card. The Hotel Gift Card is redeemable at Travelocity.com. Entry to this giveaway ends at 12pm PST September 30, 2011. Entries from all posts will be combined (kept in original order) when the winner is drawn. Winner's are chosen randomly through random.org.. The winner will be announced in a post within 7 days of the giveaway ending, and contacted through email. The winner will have 48 hrs. to respond or another winner will be chosen. DISCLOSURE: In compiling the 2011 Family Travel Guide, we received discounted / fully compensated hotel stays and access to area attractions (discounted/free of charge) to facilitate our reviews. We are not required to write a positive review. The opinions that are expressed in all 2011 Family Travel Guide Posts are our own. I am disclosing this in accordance with the Federal Trade Commission’s 16 CFR, Part 255.